Vann York started his career at General Motors Acceptance Corporation (GMAC) and then in 1968 joined his father-in-law at a small Chevrolet dealership in Pilot Mountain, NC. In 1971, he and his wife Ann purchased a Pontiac dealership in his hometown, High Point, NC. Vann York Pontiac, originally at the corner of Montlieu and Main Streets, became the cornerstone of the Vann York Auto Group. His son, Greg York, joined the business in 1987, and together over the years the Yorks added ten franchises: Honda, Isuzu, Fiat, Toyota, Buick, GMC, Nissan, Chevrolet, Cadillac, and Mitsubishi. 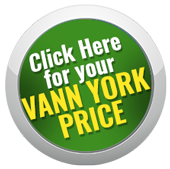 Today the Vann York Auto Group operates four dealerships representing ten brands. Under Vann York's leadership, the dealerships have thrived. Early on, the organization developed and has maintained a stellar reputation that comes from decades of "building relationships that last," as Vann York says. Vann York Auto Group has been named the Best Area Auto Dealer in the High Point Enterprise Newspaper Readers' Poll every year since the poll began in 2003. Vann York Auto Group receives high praise not only from its loyal customer base, but also from its franchise organizations, community partners, and trade groups. Each store has won numerous (some well into the double digits) franchise awards: the Honda President’s Partners in Excellence Award, the Toyota President's Award, Nissan Owner's First Award, the Pontiac Masters, GM Mark of Excellence, and GM Leaders of Distinction. 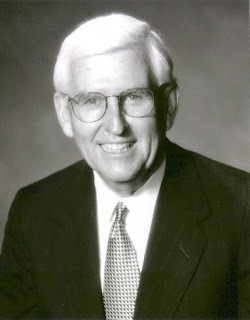 In addition, the North Carolina Automobile Dealers Association presented Vann York with a Lifetime Achievement Award, its highest honor, at a gala dinner in his honor in June, 2009. At a Duke Fuqua School of Business symposium, the Vann York Auto Group was named the Family Business of the year in 1996.